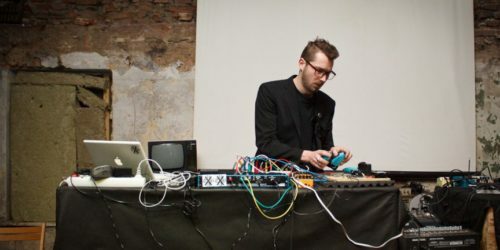 KOMA Elektronik co-founder and experimental music composer Wouter Jaspers will host an introduction on working with [amplified] objects in sound performance. The use of found objects in modern classical and experimental music is often connected to experiments in indeterminacy and aleatory music by such composers as John Cage and Karlheinz Stockhausen, although it has reached its ascendancy in areas of popular music as well, such as the ambient works of Brian Eno. The ambient music movement which followed Eno’s lead has also made use of such sounds, with notable exponents being performers such as Future Sound of London and Autechre, and natural sounds have also been incorporated into many pieces of new-age music. Armed with a microphones, piezo microphones, KOMA Field Kit and Field Kit FX we will find sound and amplify objects and use them in a musical context, highlighting a bunch of different techniques. At the end of the workshop we record a piece together of all the sounds we found! Attendees are requested to bring 1 or two objects to use in the workshop and a laptop with DAW to record their work (we will supply two computers). Please let us know if you can’t make it max. 24 hours before the workshop, otherwise we can’t reimburse you.